Successfully Added LED Bicycle Headlight + Headlamp - 2200 Lumens, Waterproof, x3 LEDs, Rechargeable Battery to your Shopping Cart. 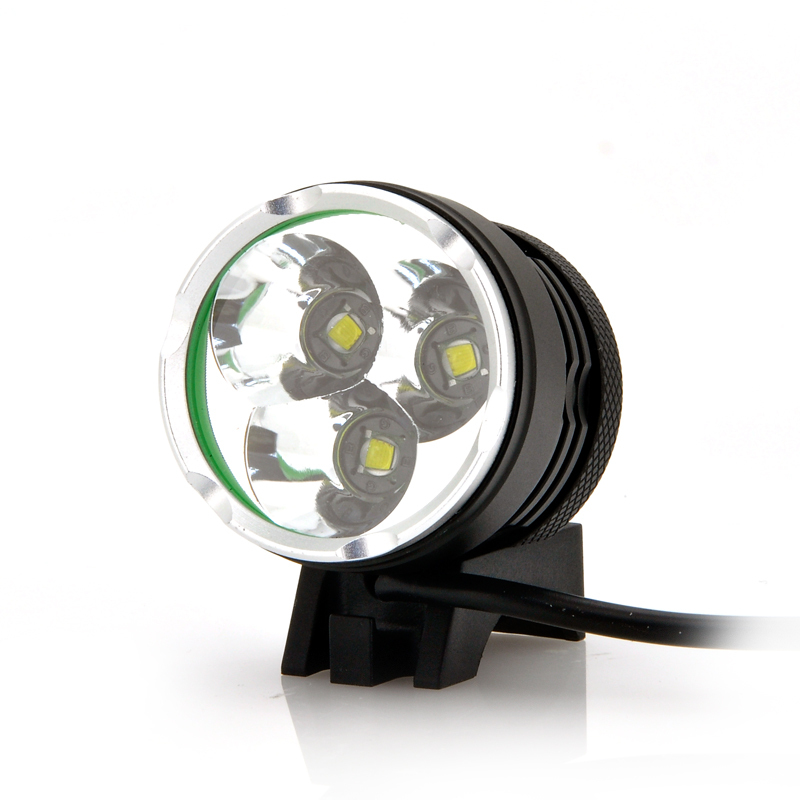 LED Bicycle Headlight and Headlamp that has 3 LEDs giving a luminance of 2200 Lumens, an IP65 Waterproof rating as well as a Rechargeable Battery is an essential outdoor safety accessory. See the light at the end of the tunnel with this CREE LED headlight and headlamp that is now available from Chinavasion with all the necessary attachments. Using famous original Cree (U.S.A) LED chips, this headlamp provides equal and stable brightness with a long lifespan. 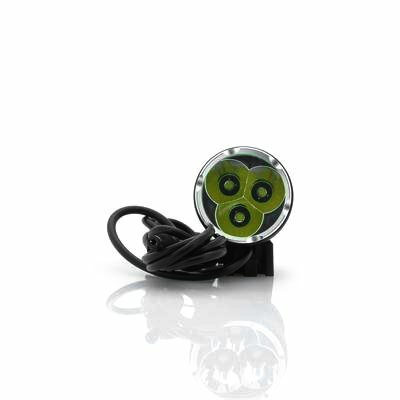 This 3 piece LED light produces 2200 lumens, which is incredibly bright however it has been designed to fit a range of shapes due to the adjustable strap that is provided with the package Due to having a waterproof rating of IP65, this LED is completely protected against infiltration of dust as well as being protected from water that is projected from a nozzle, so if the weather turns bad at least you know the light will stay good. This headlamp comes with a standard 18650 li-ion battery pack with digital protection board, rechargeable and recyclable making it more portable and safer. The strap can be conveniently combined with the LED light it with any equipment or helmet that you may need to wear for your job. To provide you with ease and comfort, this LED light is light in weight, which is essential for a device that is carried on the head. In addition there are rubber bands that allow you to attach this lamp to the bicycle handlebars and therefore allowing it to light up the road ahead. A diverse LED light that can be used in a range of scenarios, this light will brighten up the way no matter the environment or the job. In stock now, this LED headlight can be dispatched to you within 24 hours and is backed by our 12 month warranty. Brought to you by the leader in wholesale electronics and LED light, Chinavasion. Bon produit, plus que mon attente.